Asus has today announced the launch of its latest budget-centric smartphones, the Zenfone Max M1 and Zenfone Lite L1, in India. The Max M1 comes with a price tag of Rs 7,499 and Zenfone Lite L1 is priced at Rs 5,999 . Both the smartphones will be exclusively available on Flipkart. Both the smartphones come loaded with a 5.45-inch HD+ display with a screen resolution of 1440 x 720 pixels, 18:9 aspect ratio, 400 nits brightness, 800:1 contrast ratio and 65 per cent NTSC colour gamut. The Zenfone Max M1 and Zenfone Lite L1 are powered by a Qualcomm Snapdragon 430 processor along with Adreno 505 GPU. 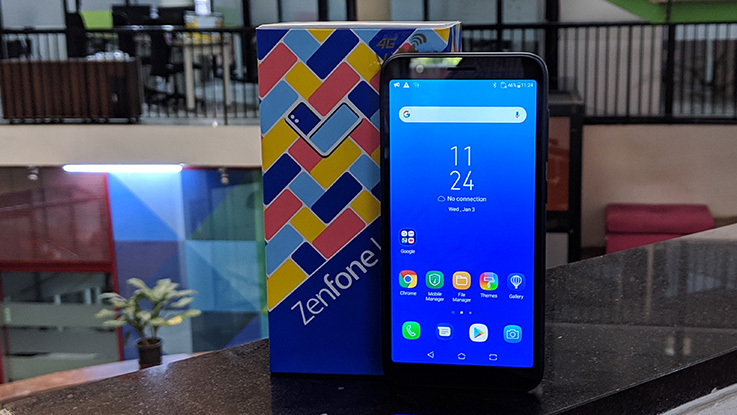 The Zenfone Max M1 is backed by a 3GB of RAM and 32GB of internal storage, while the Zenfone Lite L1 is equipped with a 2GB of RAM and 16GB of internal storage. The memory can be further expanded up to 256GB via microSD card slot. On the imaging front, both the devices are equipped with a 13-megapixel rear camera with f/2.0 aperture, 1.12-micron pixel size, PDAF and LED flash. The Zenfone Max M1 features an 8-megapixel front-facing camera with f/2.2 aperture, 1.12-micron pixel size and LED flash. On the other hand, the Zenfone Lite L1 is equipped with a 5-megapixel selfie shooter with a 3P lens, f/2.2 aperture, 1.12-micron pixel size and LED flash. The camera modes include Auto, Beauty, Pro, Panorama, Time Lapse, Portrait and HDR. The Zenfone Max M1 features a fingerprint sensor and face unlock, while the Lite L1 is only equipped with a facial recognition feature. Both the devices run on Android 8.1 Oreo with the company’s custom user interface ZenUI 5.0 running on top of it. The Max M1 is backed by a 4000mAh battery, while the Lite L1 is juiced up by a 3000mAh battery. On the connectivity front, both of them supports 4G VoLTE, GPS, GLONASS, NFC, dual-SIM, 3.5mm audio jack and micro USB port. The Zenfone Max M1 measures 147.3 x 70.9 x 8.7mm and weighs 150 grams, while the Zenfone Lite L1 147.26 x 71.77 x 8.15mm and weighs 140 grams.